With so many dining delights to choose from in the States, serving up our favourites for the Eat the East Coast road trip was one of the toughest jobs we’ve had. If you’re using our Road Trip planner to plot the perfect East Coast journey, or simply picking the most tempting restaurants and cafés as reference points, you’re guaranteed a slice of foodie heaven with these prime places for a bite. Here’s our pick of the East Coast’s finest eateries and the meals they’re famous for – whether you’re looking to start the day right, refuel your family, or simply cap off a great day’s drive with a memorable meal in stunning surroundings. Many say breakfast is the most important meal of the day – and they certainly take it seriously Stateside. Our Eat the East Coast route kicks off in New Orleans and for a refreshing cup of joe with a twist, look no further than Café Du Monde. 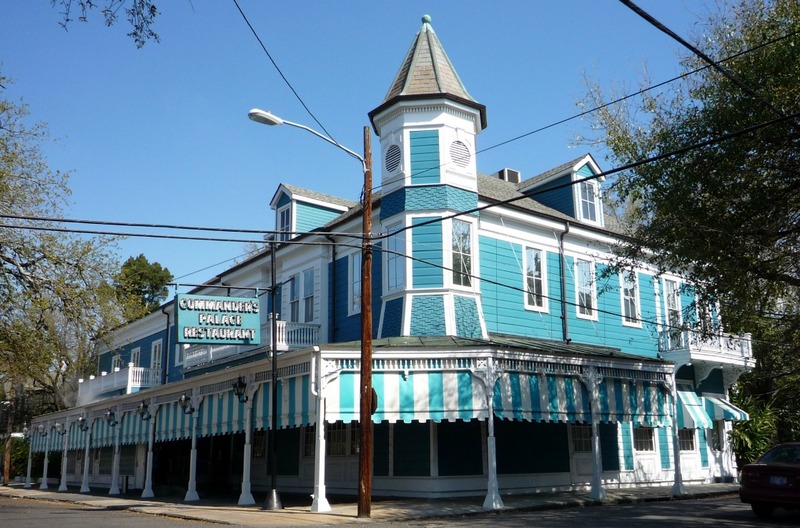 This place has been serving up the famous New Orleans flavours of coffee and chicory since 1862. Mixing coffee with chicory was started by the French back in the days of civil war when coffee was scarce and the root added body and flavour to the brew. They duly brought the recipe with them to Louisiana and it adds an almost chocolate flavour to the coffee at Café Du Monde, which is traditionally served Au Lait – mixed half and half with hot milk. Café Du Monde is also open 24/7, making it the perfect road trip stop. On top of the outstanding coffee, the café is famed for its Beignets – square French-style doughnuts topped with heavenly powdered sugar. These delightful treats are so good, they’re the only thing on the menu. For something a little more substantial, there’s no better place to experience both the history and future of ‘Haute Creole’ – as the local food movement has been dubbed – than at the iconic Commander’s Palace. 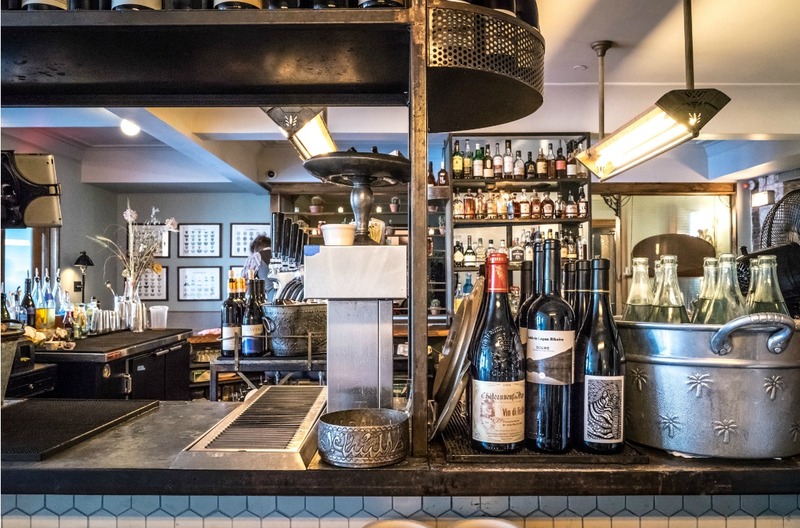 This smart, chandelier-hung restaurant has been around since 1893, bringing big-hitting Louisiana flavours to the Big Easy’s Garden District with ingredients that are all sourced from the local area. Check out the Cochon De Lait Eggs Benedict – 16-hour smoked pork over buttermilk biscuits with poached eggs, ripped herb salad, sauce forestière and housemade tasso hollandaise. Food for the soul. Believe it or not there’s a place in Atlanta, Georgia that’s the pride of pizza. Antico Pizza Napoletana is taking over – one topping at a time. Opened in a nondescript building on the city’s Westside, Giovanni Di Palma’s pizzeria soon had lines of locals, visitors and celebrities forming around the block. Here you can choose from five red and five white pizzas (with or without tomato sauce), including a highly-praised specialità della casa topped with buffalo mozzarella, Cipollini onions, roasted mushrooms and white truffle oil. Their belly-busting calzones will see you right through to dinner – and you can’t leave without sampling the legendary San Gennaro, packed with sausage and dolce picante peppers. If you find yourself in New York, there are lunch options just about everywhere you look. But if you really want to take a bite out of the true Big Apple experience, look no further than Katz’s Deli. This place is a New York institution and known the world over for the famous ‘I’ll have what she’s having’ scene in classic rom-com When Harry Met Sally. 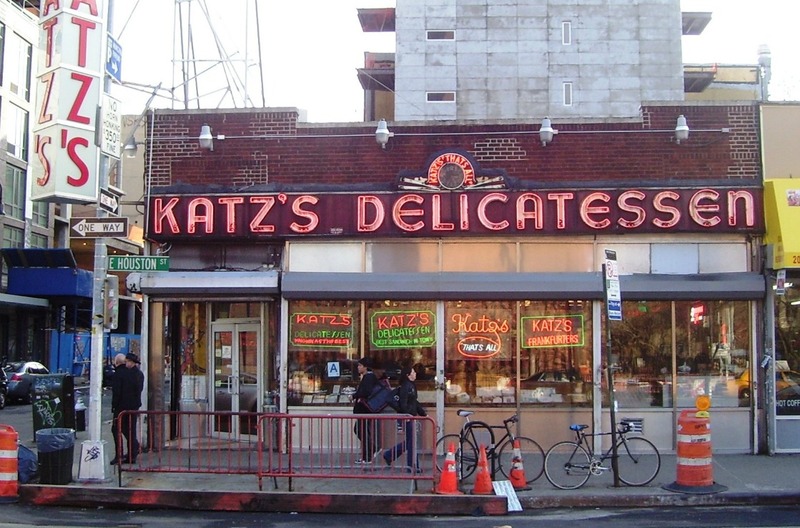 But it’s the piled-high pastrami sandwiches that have kept Katz’s in business since 1888. The place may be busy, but the servers encourage you to take your time and choose carefully so they can serve you up the perfect deli sandwich. If you’re not the pastrami type, the turkey sandwiches also come highly recommended. 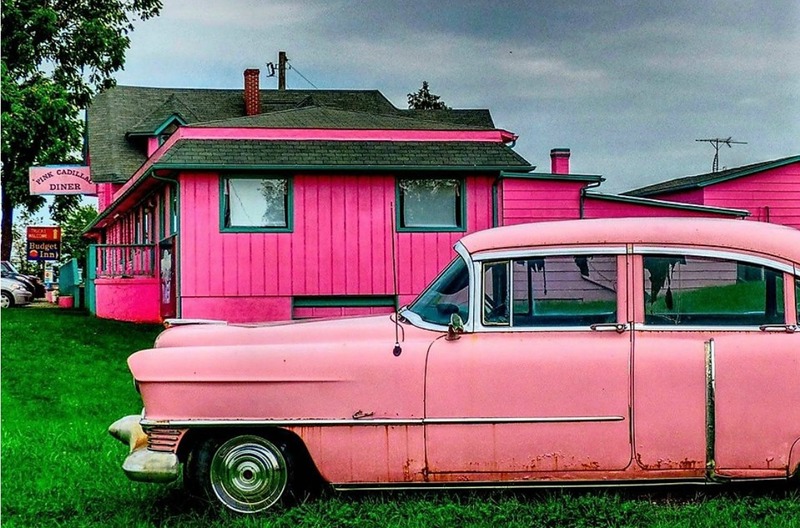 If you’re heading through Virginia in search of a slice of quintessential Americana, it’s impossible to miss the Pink Cadillac Diner. From the hot neon Cadillac parked outside to the diner’s interior, everything’s electric pink – with a splash or two of turquoise to mix things up a bit. Park up and swing on inside for a ‘50s-style dinner soundtracked by the sweet sounds of Elvis. Choose from burgers, steaks, hotdogs, nachos, fries and deli sandwiches. Afterwards, grab a seat at the ice cream bar for shakes, sundaes, floats and malts galore to finish off a true taste of America. Fast forward on our Eat the East Coast road trip to Brooklyn and The Glasserie is a great way to round off any Stateside adventure. The site of a former glassworks which produced cut glass so highly-regarded that special pieces were requested for the White House collection, the restaurant is now a favourite with the local in-crowds. The Mediterranean-style menu may be worlds apart from the classic all-American diners and drive-ins, but with unparalleled views of Brooklyn it’s a unique way to cap off your stay in the city. We recommend trying the specialty dish of rabbit prepared three different ways – as a kebab-style starter, served on the bone and in a stew. If you’re looking for the back story to one of the world’s most popular refreshments, why not work in a visit to the World of Coca-Cola back in Atlanta. Here a guided tour will take you through the history of the drinks range, and allow you to sample more than a hundred of its most popular varieties from around the world. Finally, no trip to the Carolinas is complete without a taste of its most famous export, and the North Carolina Cheese Trail is ready to oblige. Take a tour around the OakMoon Creamery to see cheese-making up close, and be sure to sample some of the goods. Whatever the time of day, and wherever you are on your journey around the States, check out our Road Trip guide to find some fresh inspiration for your great American adventure.